Despite having been both a coach and contestant of The Ultimate Fighter, Kelvin Gastelum believes that the series has run its course. Kelvin Gastelum walked away from TUF 17 as The Ultimate Fighter after defeating Uriah Hall via split decision. Gastelum would go on to prove that he was deserving of the judges’ nod and the moniker of “Ultimate Fighter” for this season, as he has gone on to have the most successful career from the cast and will now look to begin the conversation of where he belongs on the list of all-time TUF greats should he become a champion tomorrow night at UFC 234 when he faces Robert Whittaker in the main event in Melbourne, Australia. 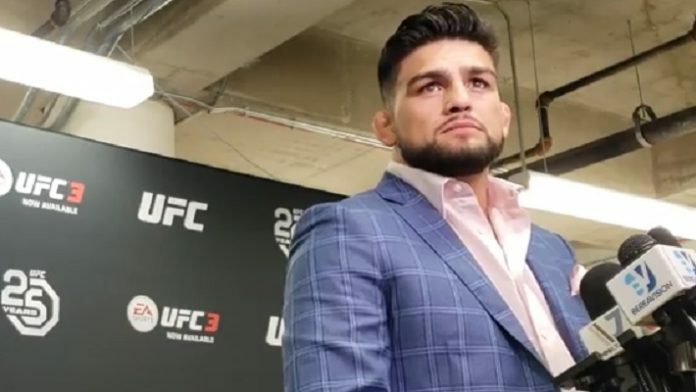 “I definitely think there should be some sort of feeding program for the UFC, like The Ultimate Fighter has been but I think The Ultimate Fighter has served its purpose,” Gastelum said. “Maybe [they] need to do something similar but different. I think people are kind of over the reality show thing. Do you agree with Kelvin Gastelum? Should the UFC move away from the TUF model?